FMGCS is participating Canada Day Parade (July 1st) organized by Regional Municipality of Wood Buffalo. We are glad to share our Gujarati Cultural Heritage on auspicious Canada Day Parade. As it is first time that we will gather as a community since the evacuation on May 3rd 2016. As a society, let us come together to show our appreciation for the first responders who have made our safe return to community a reality. Parade Route:Franklin Avenue and Riedel Street to Franklin Avenue and Morrison Street. The parade route starts at the intersection of Riedel Street and Franklin Avenue and goes north along Franklin Avenue to Morrison Street. This will result in the following schedule of road closures. Closed 8 a.m. to 11:30 a.m. The RMWB is providing free public parking during the Canada Day celebrations in two downtown municipal parking lots – Future Forward at 9717 Franklin Ave; Hardin Street and Biggs Avenue – and at MacDonald Island. Parking is available on a first-come, first-serve basis. During the parade, there will be a free park and ride shuttle service with buses running every 15 minutes. 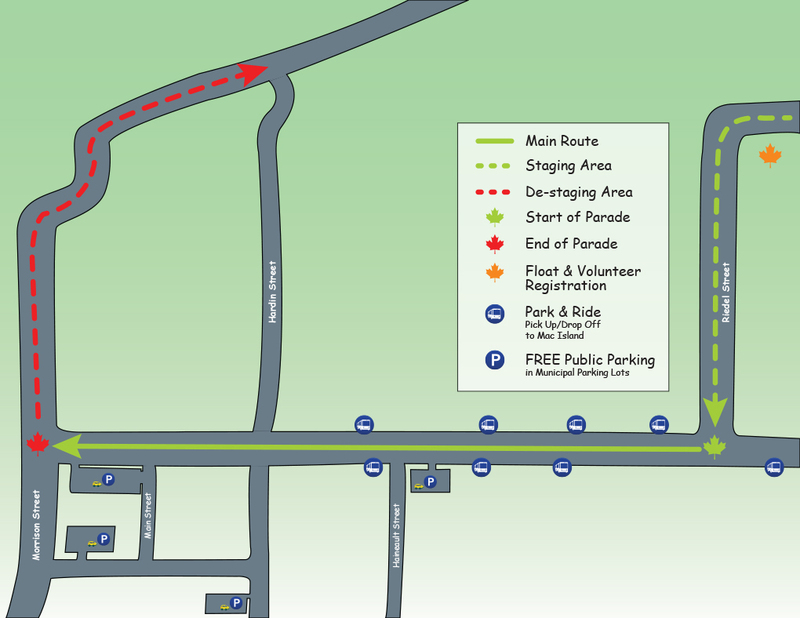 Residents can park at MacDonald Island and hop on one of the four shuttle buses running to stops along the parade route from 9:30 a.m. to 10:45 a.m.
As the parade finishes, shuttle buses will resume services, picking up spectators from bus stops along the parade route for the return trip to Macdonald Island. Return trips will run from 11:30 a.m. to 1 p.m.
A volunteer shuttle bus will be available for all volunteers after the parade. Volunteers will be picked up at the corner of Hardin Street and Morimoto Drive and will be returned to the volunteer tent at the corner of Riedel Street and Prairie Loop Boulevard.